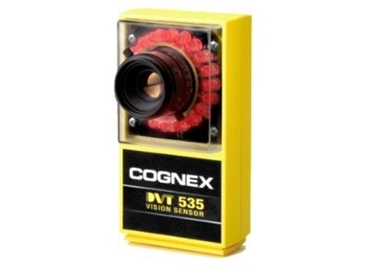 Cognex Corporation (NASDAQ - CGNX), the world's leading supplier of machine vision sensors, has introduced the DVTâ 515 and DVT 535, the most affordable, capable and easy-to-use vision sensors in their class. With the most complete suite of vision tools at their price point, the DVT 515 and 535 set a new cost/performance standard for entry-level vision sensors. Kris Nelson, Cognex Senior Vice President of Vision Sensors, says that the DVT 515 and 535 are not limited to a single or even a few generic machine vision functions, but handle a much broader range of applications than similarly-priced vision sensors. Kris believes it's also very easy for users to combine vision tools to inspect, measure, count, find features and compare patterns in order to automate inspection and ensure quality in a variety of applications and industries. The DVT 515 and 535 are the lowest cost models in the DVT vision sensor family which includes a choice of products to meet a range of performance requirements-from simple part inspection to defect detection, high-resolution and color applications. Like all DVT vision sensors, these new models operate with easy-to-use Intellect software that facilitates setup, integration and maintenance, and are backward compatible with FrameWork. They have built-in Ethernet for connecting to factory networks and software, making setup of communications with other vision systems, PLCs, SCADA systems, PCs, and databases fast and easy. The DVT 515 and 535 are available now.